Imagine you could feel on top of your emotions, on top of your world on a regular basis. Would that be something that would interest you? Does it make you exhale a big Ahhh if only? I’m Gurutej what I’m about to reveal to you could change your life FOREVER. I am a world acclaimed teacher, leader and spiritual teacher. I’ve been building communities, businesses, teaching through many mediums for over 40 years. I am introducing these previously secret teachings so you can profit and create better relationships which is the basis of all joy and balance. I have not always been calm, centered. I, like you, was reactive, judgmental, stressed and overwhelmed and enslaved by my emotional reactions. I have to share the secrets of the moon centers with you because they were a great road map for me to be the me I wanted to be. Not the slave to my emotions. I have helped 100’s if not 1000’s of women and yes men to understand and utilize this wonderful formula that will put you in the driver’s seat of your life. It’s usually much easier to just let your emotions rule right? Sooo Not right! What are Moon Center cycles and why should we as women care about them? Because these cycles have a direct and deep effects on us. Have you noticed that some days you feel strong and powerful and can take on the entire universe and other days someone looks at you cross-eyed and you want to find a bathroom to hide in? Why is that? This theory of Moon centers will shed some light on all this. This is not a shield to hide behind but information to make us more aware, informed complete with support tools that will make you more powerful. 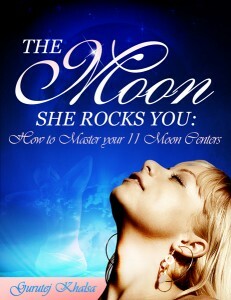 Moon Centers Unveiling the hidden secrets to the inner workings of women. This is the next biggest leap after Men are from Mars Women are from Venus. Do you want to understand yourself as a women in your many aspects? Men do you want to be able to see and chart the emotional and devotional landscape of the women in your life? You will know when and how to support yourself and your women and when to move away from the firing line. Priceless information. Moon Centers is a secret and sacred science: Do you want Greater harmony in your life? If yes then skip the text and just say yes buy it now. If you need more information carry on. If only all women and men for that matter could learn of these moon centers in their teens what a wonderful world it would be. This is an ancient secret science unveiled, how the moon affects women each day. This is the secret code to women’s inner states. The positive, challenged and neutral aspects within each center, within each women. The moon moves into a different part of a women’s body every 2.25 days. Learn how to utilize the gifts of each center and recognize the moods that come from the challenged aspects ahead of time. Then turn them into harmony. Utilize the gifts of each center. All this can be yours.